By acquiring some new working skills from a few college courses, or utilizing some naturally inherent skills, the road out of the office building and onto the outside world could be closer than one might think. Getting paid by your own clients, by working online in your own preferred work setting, is as simple as considering some of the top 5 career choices listed below, which will allow you to work productively from practically anywhere. 1. Computer Programmer Computer programmers, also known as software developers, design, test, and analyze applications, along with program implementations. Competent, expert, computer programmers are highly prized within the Tech industry. This is a profession where one’s past technical successes, and affiliated groundbreaking past projects, can hold more merit than years of college education. Web applications, desktop and mobile apps, and high tech data development are all the life-force of the computer programmers world. Successful, talented programmers are paid very well for their high stress, and monumental production oriented business environment. According to U.S. News, Money, salaries range from $57,940 in the 25th percentile, $76,140 as a median range salary, and a very livable $97,760 in the 75th percentile. Computer programming requires a fairly extensive amount of educational training. A bachelor’s degree is a standard requirement for most established firms. Some entry level positions allow for a 2 year degree for some lower level aspects of the job. Internship is also a great way of getting one’s feet in the door of the industry and building a positive reputation after attaining an associate’s degree. As with most Tech industries, the office atmosphere is usually a casual one that tends to utilize a co-working office setting, and an encouraged remote working environment. 2. Graphic Designer Graphic designers are in high demand and the pay isn’t too bad either. An accredited and talented graphic designer can expect to bring in a median wage of $890 a week, around $42,000 yearly according to Forbes’s Top 10 Best-Paying Work-At-Home Jobs. Here are some of the reasons why a career in Graphic Design is a great choice for those who prefer the freedom to work anywhere they choose, rather than be tethered to an office desk all day. This job is what a creative person lives to wake up for in the morning. Today’s design programs are equipped to express every color, shape, and effect in state-of-the-art stunning graphics. A graphic designer’s client list includes advertisers, small and big business, organizations, and entertainment industries just to name a few. A designer’s projects can be anything from website backgrounds and artwork, to designing posters, brochures, magazines, and other types of print as well. Graphic designers normally have allot of leeway to do their work remotely, given most work is done on the computer in-between pitch meetings with clients, and final draft showings. 3. Translation Specialist The World is getting smaller and smaller as technology and global populations move forward. Business markets are continuing to grow globally as well, and with these new multinational markets come a need, and sometimes a shortage of, translation specialists of all assorted languages. Statista.com lists Mexico as the United States most major trading partner, with U.S. trade goods with Mexico reaching a hefty 41.2 billion dollars in 2015. A speaker fluent in both English and a second language may just find that they were missing out on a whole career. Popularly used business languages include Spanish, Arabic, French, and Chinese. 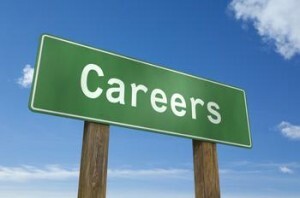 According to the job site SimplyHired.com, the average salary of a translation specialist is $58,000 a year. In the last decade, this career field has grown positively stronger along with the global economy. With the tough times of the Great Recession thankfully behind us, the future of the world economy is looking better every day, with a few unfortunate world exceptions. Asia is still a strong contender in world trade despite its recent stock market tumbles. This means that along with Spanish translators, Asian language specialists will continue to be in high demand as well. One perk to the translation industry is the high amount of remote worker usage involved. Freelanced translation workers are also popular business tools for making sure that the Worlds businesses are properly communicating with each other in order to avoid embarrassing and costly misunderstandings. Being a translator is one way to enjoy working where you want to, free from the 9 to 5 office crowd. 4. Website Design If one has a natural talent for format, color, and design, and basic to intermediate computer literacy skills as well, a career in web design might be in their future. Web designers work with programs such as Adobe Dreamweaver that utilizes HTML code and CSS and PHP, along with programs like Photoshop to layer images and background themes. All the great looking sites on the internet first had great designers meticulously programming in all the little details into a client’s website, in order for it to work smoothly and look properly on the World-Wide-Web. Creativity is the cornerstone of web design, and creative people tend to work both outside the box, and especially outside of the standard office cubicle. SimplyHired.com puts the average web designer salary at $59,000. Web designers are notorious for working at home or out of temporary office workplaces, such as co-working rental spaces. Since all the files are normally sent digitally over the internet between client and designer, it makes being a web designer a perfect job for one who likes to work anywhere they feel like working on a given day. 5. E-Commerce Online Entrepreneurship is one way to be able to work from any location one chooses to; be it from a comfortable hotel room, or on the beach. Web store providers have flooded the online market, and with all that competition trying to sell you a monthly subscription to your services, the price of setting up an online store has dropped dramatically. The venues for a web store are almost as unlimited as well. Whether opening a store on Facebook, Etsy, or eBay, all are low cost methods of selling a product or service without the high overhead of a land based business. Making your living online while traveling around the country or abroad is a “Digital Nomad’s” dream of all dreams. One must find that online niche, of course, that people need via the convenience of the internet. The web is full of success stories from people who just decided to go for it and cut the office strings, and proceeded to enjoy their new found freedom. The five careers listed above are all gateways to feeling the freedoms of being your own boss, even if you are technically working for someone else.